Good morning! I love this! 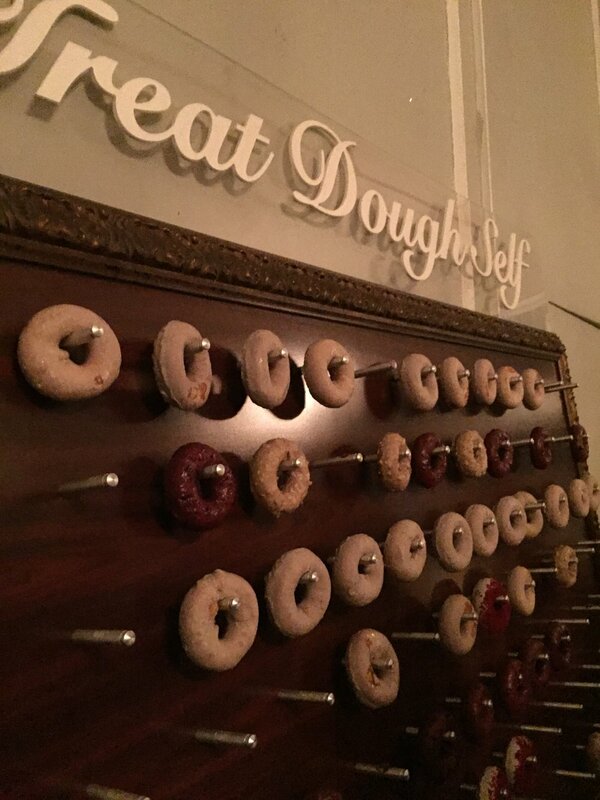 Couples spend quite a bit of time planning weddings to ensure that guests get opportunities to mingle and mix, so everyone feels comfortable, loved, appreciated and cared for (such as at this fun “Treat Dough Self” wall of delicious doughnuts, where friends congregated with beaming smiles, laughs, dance moves, and happy contentment at a recent rejuvenating wedding we attended in Queens). What do you treat yourself to? Feng Shui is a treat for your space. When your environment is set up according to Feng Shui principles, one feels more calm, happy, confident, and in control.